Entertaining friends? Tired of serving the usual chips from the bag and bread from the local bakery? Then try these nachos! Heat cooking oil and saute the onion. Add the mince and cook til browned. Add tomato paste. Mix, then add the chilli beans and canned tomatoes and mix. Simmer for 10 minutes. 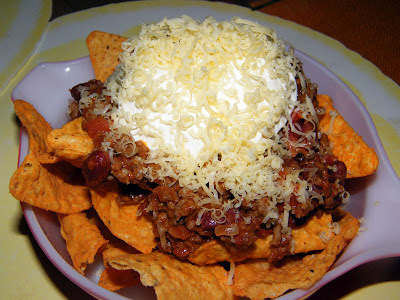 Arrange corn chips on a plate / bowl and spread the mince/chilli beans over it. Add sour cream and grated cheese on top. You may also add chopped tomato and finely chopped spring onion if you wish. 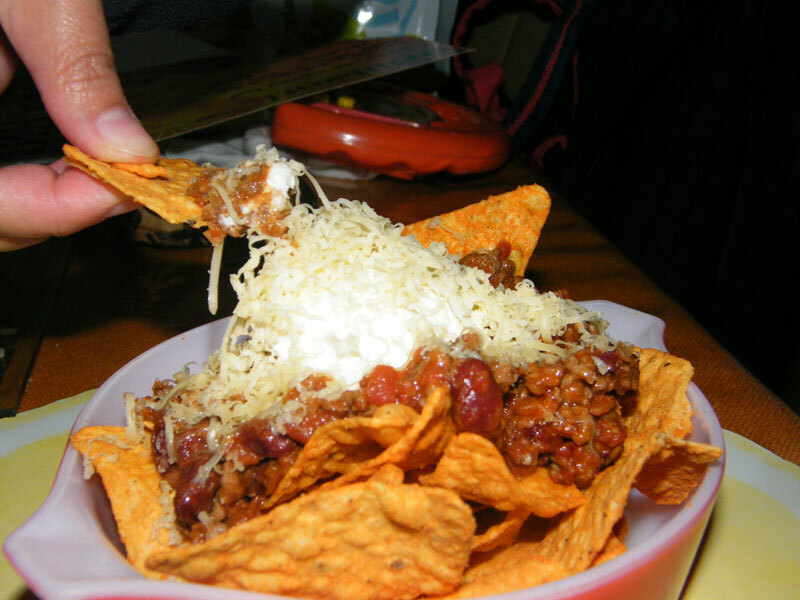 loaded nachos you got there!